We present the results of mathematical modeling of quantitative relationship between the adsorption capacity of activated carbons and the partition coefficients of adsorbates in the n-octanol–water system. 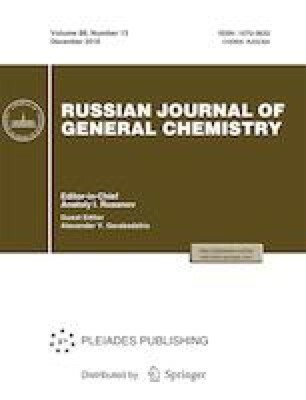 It has been found that the partition coefficients of adsorbates are highly informative descriptors in the mathematical models for prediction of the adsorption capacity of activated carbons. The empirical linear regression equation relating the similarity coefficients and the partition coefficients of adsorbates can be applied for the prediction tasks. Original Russian Text © G.T. Frumin, N.L. Bolotova, 2018, published in Ekologicheskaya Khimiya, 2018, Vol. 27, No. 4, pp. 221–228. Hansen, C.M., Hansen Solubility Parameters. https://doi.org/www.hansen-solubility.com.